I read this article and found it very interesting, thought it might be something for you. The article is called Care costs and the impact on inheritance and is located at https://www.rocketlawyer.co.uk/blog/care-costs-impact-inheritance/. Beautiful mature daughter hugging her senior mother. The continuing roll-out of inheritance tax reforms is lessening many people’s concerns about their family’s inheritance being eaten into by the demands of the taxman. The impact of care costs, on the other hand, continues to weigh on many people’s minds and, for some, the relief of pressure from tax has done little more than free them up to worry about this instead. At present, individuals who need care in their later years and do not qualify to have this paid for by the NHS must foot the bill themselves until such time as their total capital assets drop below £23,500 in value. After this point, their care will be paid for by their local authority so the costs will not diminish their personal assets further. An individual can only qualify to have their care costs covered by the NHS under the NHS Continuing Care system if they are held to require assistance for health reasons rather than for care-related reasons. The assessment for this is complex and the outcome is generally hard to predict for any one individual. Those who do qualify, however, will be eligible to have their care paid for by central government regardless of the total value of their assets. There has been much talk of reforming the system in recent years. 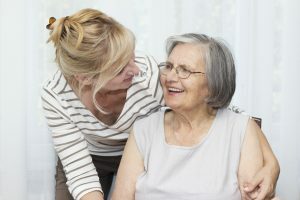 Suggestions have been made and consultations have been held with a view to either increasing the amount of capital that an individual can retain and have their care paid for by local authorities, or placing a cap on the total amount that a person can be required to pay towards care out of their own pocket. However, as rising care costs are placing more and more pressure on individuals, so too are they increasing the burden on government and local authorities. 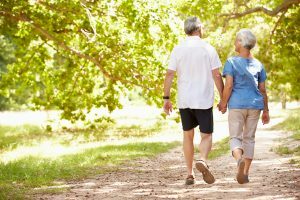 The UK’s ageing population, which has little or no impact on the individual level, along with ever-lengthening life expectancies are also making the burden of care costs on the state grow heavier. With budgets already stretched, none of the proposals that would relieve pressure on individuals look likely to make rapid progress. As such, when a person needs care in later life – something which will likely continue for a number of years – this can be costly and will continually whittle down the value of the assets they have to pass onto their loved ones as inheritance. Understandably, a lot of people like to take measures to try and minimise the impact of this. However, local authorities are wise to many of the more straightforward tricks that people have used. For instance, they will almost always see through the common tactic of handing over a large amount of cash or high-value asset such as a property to your family shortly before seeking their help with care costs, and will ignore the change of ownership when assessing your means. Nonetheless there are some tactics – though admittedly more complicated ones – that will allow you to minimise the impact of care on your inheritance. It is possible, for example, to place assets into a trust that protects them from being taken into account while still allowing you limited access. This has obvious disadvantages, as well as legal costs and tax implications, but may be worthwhile. In the case of a property that you occupy with your spouse, it is possible to create a will that, if one of you dies, will safeguard the surviving partner’s right to continue living in the house while effectively passing on your stake in the property to your children instead of to your spouse, taking it out of means assessments for care purposes.